PDT GROWTH: UNLIMITED MEMBERS can attend unlimited public classes from this list for 12 months. 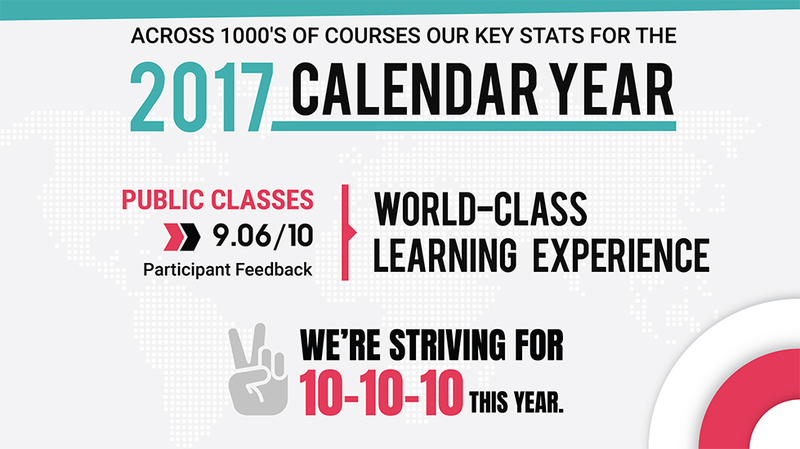 PDT public classes are $660 + GST per day for non-members and represent the highest quality adult learning experiences in the Asia Pacific. All members receive the full experience including personalised Personality Profiling, Lunch, Refreshments and courseware. For only $150 + GST per month you can provide a staff member with unlimited instructor-led training from PDT - the leading professional development provider across Australia and New Zealand. This membership is exclusively for the nominated person. This is the best value way to grow your future leaders, and to demonstrate a commitment to supporting growth of your people and as a consequence, greater engagement and stickiness to the role. Designed for managers who want to support their team's growth and development. This membership is for a leader's direct reports and allows for people to move in and out during the year. e.g. TEAM5 is designed for teams of up to 5 people. The manager may have 3 people at time of sign up, grow to 5 people, then drop back down to 4 people during the year. With all of those changes, whoever is a current member of her team is covered by their TEAM5 membership. Every team member with a subscription can enrol on any course showing on this page (the list of courses available updates daily) at no cost. They receive the same experience as full fee paying participants including lunch, courseware, certificates of completion, reinforcement through the Orgmenta App and their own LDP profile where applicable. Approval workflow and Management Reporting included. Our system can allow self-registration by staff, with either an approval request or just a notification sent to the training administrator. Additionally, your organisation can login to view all training completed, participant feedback and copies of their certificates of attendance. Be recognised as an employer of choice by giving your team the opportunity for personal and professional growth this year.